1. 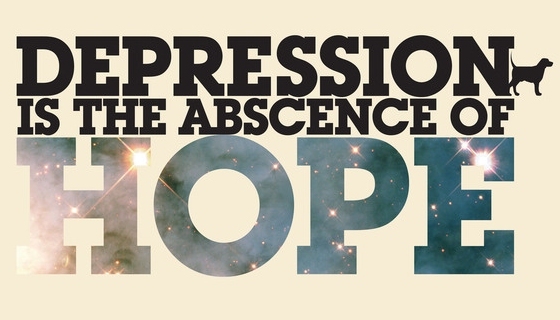 Depression isn’t the abscence of hope. 2. It isn’t the absence of hope either. If I were going to take the time to create a typographical poster, I’d take a moment to check my facts, and my spelling, before getting started. It’s showcased for the text effects not for the message.